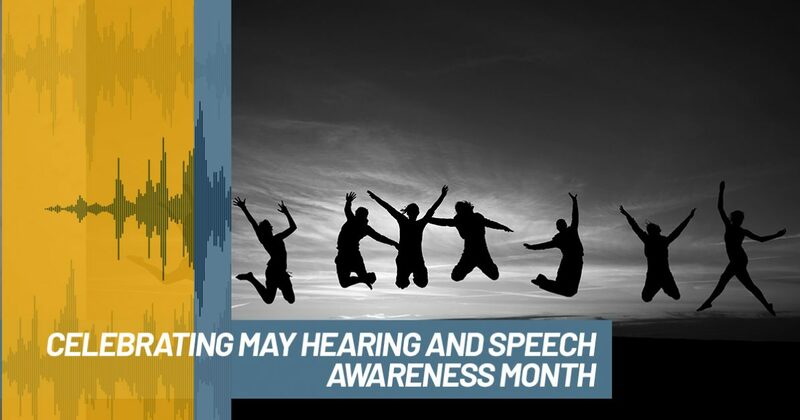 Since May is Hearing and Speech Awareness month, our team at Audiology Innovations has been out in our community sharing the message about healthy hearing in various places. As an audiologist in the Calgary area, I find it’s important to spread this message to our community. 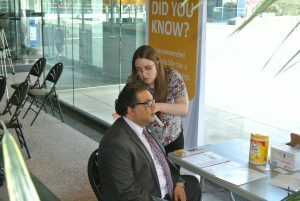 Our staff members, Eleese and Ryan, spent the day at Calgary City Hall with staff from Deaf and Hear Alberta, who were promoting their “Safe Sound Awards.” Eleese offered free hearing screening examinations to members of the public as well as to Mayor Nenshi, who kindly volunteered to have his hearing screened to encourage others to do so as well. Best Safe Sound Restaurant – Where do you go to eat and are able to have a good chat without yelling? A common comment about restaurants is that they are often too loud. This award goes to a restaurant that has a safe sound level. Best Safe Sound Family Fun Venue – Where can you take your kids for fun without getting a headache from the noise? This award goes to a venue with safe sound levels. Best Safe Sound Fitness or Recreation Venue – Where can you work up a sweat without getting ringing in your ears? This award goes to a fitness venue with safe sound levels. Best Safe Sound Seniors’ Venue – As a senior, where do you meet up with friends for a visit or your favourite activities? Is the sound in the space manageable and do they provide an assistive listening device if you need it? This award goes to a venue with safe sound levels. Wild Card – Do you know of any other venue that offers a sound-friendly environment? Vote for them in this category. Cast your vote to take part in the Deaf and Hear Alberta Safe Sound Awards. At Audiology Innovations, we provide complete hearing evaluations as well as other audiology services. Check them out here and let us schedule you an appointment!